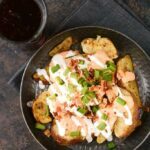 Slow Cooker Loaded Pub Fries utilize my homemade spicy queso over roasted potatoes and loaded with your favorite toppings. 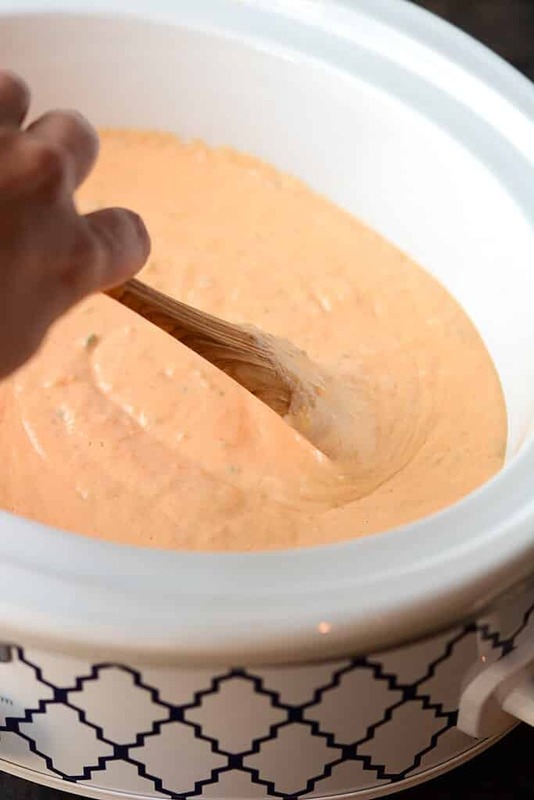 What to do when you have made a delicious cheese sauce that is deserving of being served up as and awesome appetizer or an amazing meal even? 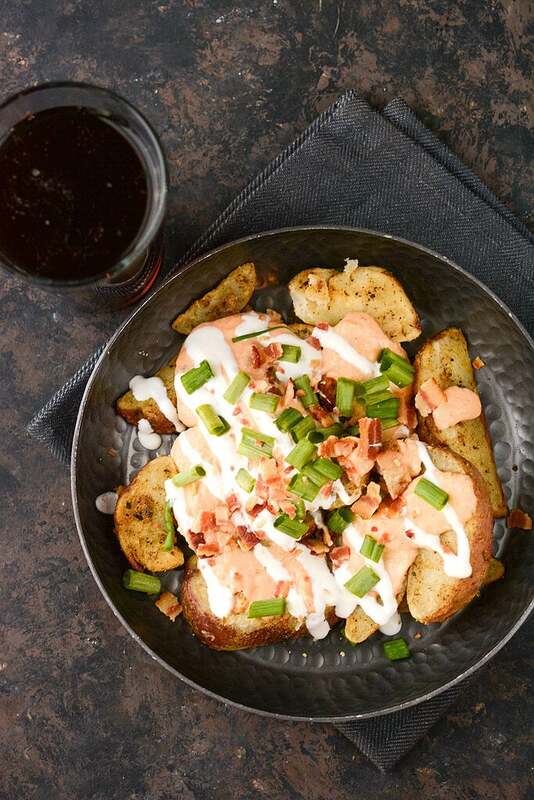 Make Slow Cooker Loaded Pub Fries, of course! 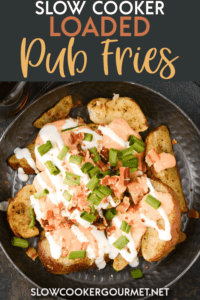 Whether you are watching the game, serving up some appetizers to friends or even just craving a fun dinner, these pub fries are sure to brighten up your day! 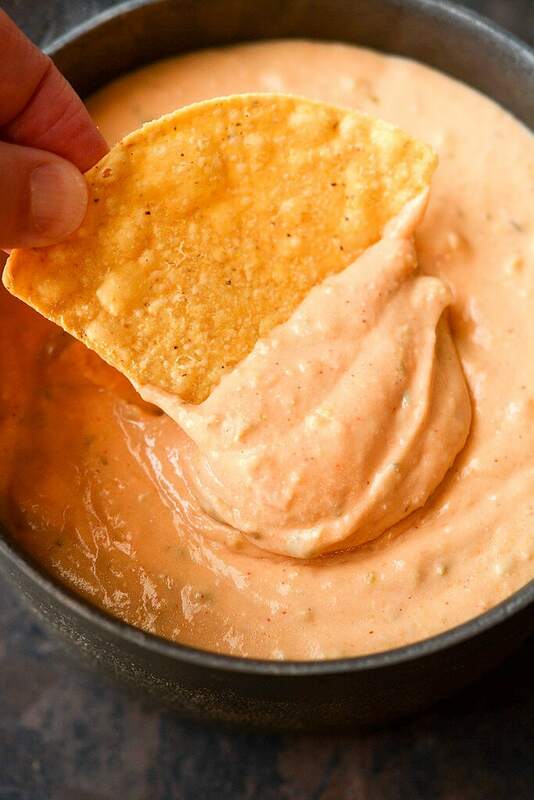 Use your slow cooker to make up a simple but somehow magical spicy queso sauce. You can’t have pub fires without magic cheese sauce, right? And if you toss have this in your slow cooker all of the work is practically done for you. 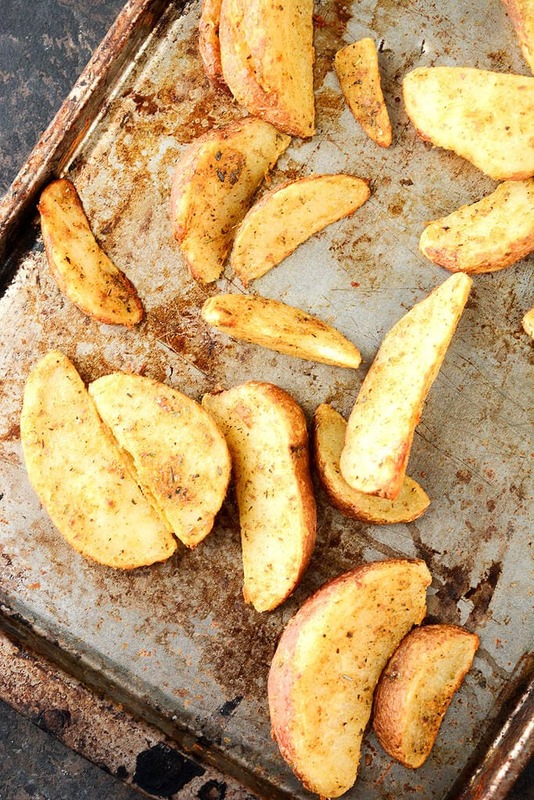 Then roast up a bag of your favorite potato wedges. You can easily make your own, but I just happen to love the Alexia brand and use those to keep it simple. 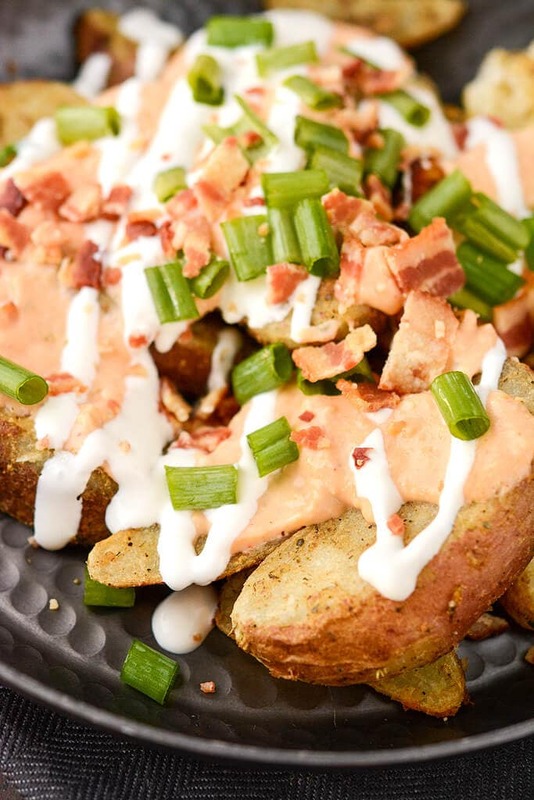 Then you’ve just got to top it all off with crispy bacon crumbles, sour cream and green onions. Now the only question is, how will you enjoy it? Delicious snack or fun dinner? 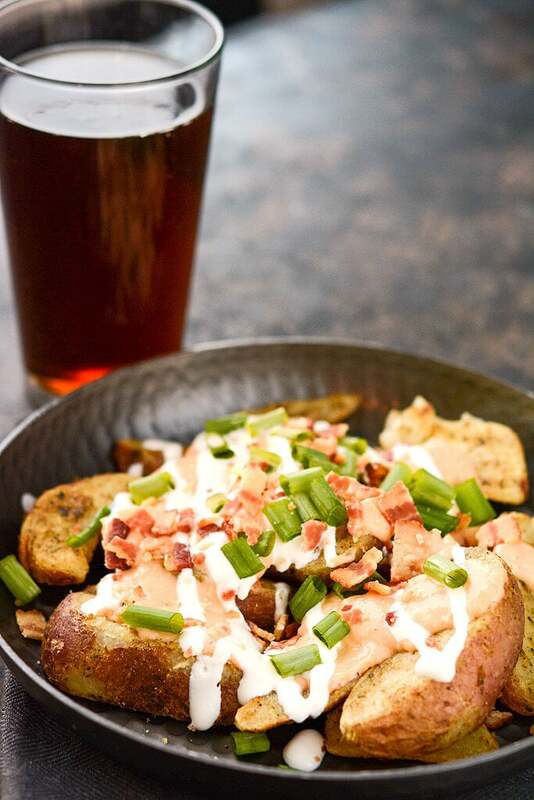 Pair it up with your favorite beer for a winning combo! Pub food without ever leaving home! Love cheesy meals? 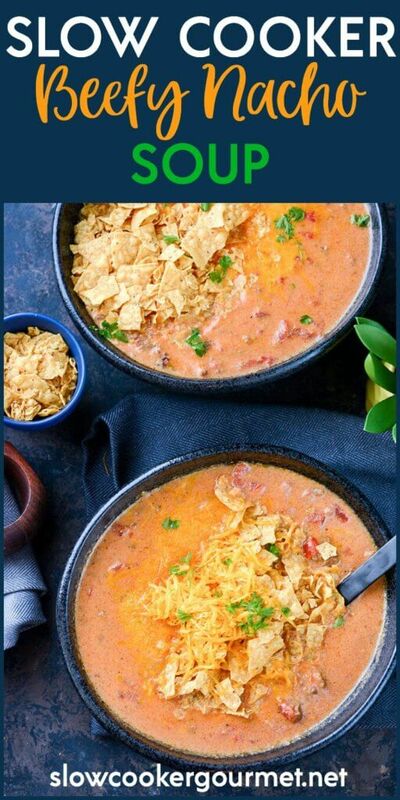 How about Slow Cooker Beefy Nacho Soup?